Bonanza is a video slot from Big Time Gaming that’s gone to the extremes to offer a bombastic game. 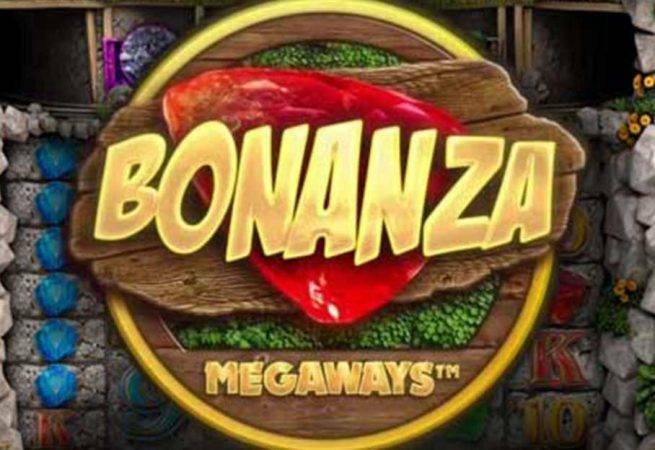 Bonanza is a 117,649 ways-to-win slot, or as Big Time calls it, “Megaways”. So needless to say, the grid format is going to differ from your ordinary slots, and Bonanza features 6 reels, which can sometimes have up to 7 symbols. The game also has cascading reels, where winning symbols burst and get replaced by new ones, giving you the possibility to get more wins per win, much like in Gonzo’s Quest, except here there are multipliers added. Take a look at this monster slot for yourself at one of the recommended slot sites here. While its unconventional format might sound intimidating, it’s actually super easy to play Bonanza. You’re betting on all 117,649 lines all the time – that’s fixed so there’s nothing to worry about there. Start by setting your bet size by toggling the arrows under “Stake” to the bottom left of the game screen. Bet sizes range from a minimum of £0.20 a spin to £20, which is pretty good for the gazillion paylines. You can then hit the big green Spin button, or choose the Autoplay function, which is right next to the Spin button. Wild: This is a bunch of TNT dynamite with Wild written on it. It substitutes all symbols except for Scatters. Bonanza’s fixed jackpot can be won if you spin 6 of the Violet Diamond symbols. This will land you 50x your stake. The next highest prize is 5 of the Violet Diamond symbols for 25x your stake. Not much, you may rightly say. Bonanza is more about modest but frequent wins. However, for some bigger hits, this game has unlimited multipliers where you can win up to 10,000x your total stake. More about this in Special Features section. Reactions: As mentioned, Bonanza has cascading reels. The winning symbols explode and are replaced by new ones, while the old ones stay in place. This is called a “reaction” in Bonanza, and it’s basically a free spin. You’ll be seeing this a lot since Bonanza is a low volatility slot and wins happen pretty frequently. Carts: On top of reels 2, 3, 4 and 5, you’ll have a cart run in with extra symbols for every spin. GOLD Free Spins: If you manage to spin all of the letters to spell “Gold” you’ll trigger 12 free spins. There’s also a golden +5 tile that will give you 5 extra free spins. With each free spin, your wins will see a growing multiplier. Although it’s not so easy to trigger this feature, once you get into it, there’s serious potential for some big wins here! Free Spin Scatters: Additional free spins can be had when you get a cart with gold bars on it on top of reels 2, 3, 4, or 5. 3 of these Cart Scatters will give you 5 more spins, while 4 of them will get you 10. Bonanza is set in a quarry, with the symbols embedded in stone. It’s not the most colourful or vibrant game we’ve see. It can even feel a bit grey at first, but Bonanza does have a distinctly lively vibe to it. The reels spin faster than most video slots and the soundtrack is amazing with a crazy banjo going at full speed to put you in that gold hunting in the Wild West mood. Bonanza aims to blow your mind away with its thousands of paylines – 117,649 ways to win, in fact. Unsurprisingly, the game diverts from the standard 5 reel video slot format, but it’s still easy to play and we were fully into it in no time. The Reaction feature is like NetEnt’s cascading reels, where winning symbols are removed and everything falls into place with new symbols added, which gives you a de facto free spin with every single win. You’ll be seeing a lot of those wins too, with an RTP of 96% Bonanza is famous for its frequent payouts. Check out the hype at one of our favourite slot sites!